There are more than 116 million Americans suffering every day with chronic pain. This pain equals many medical visits and lost days of work, costing more than $600 billion a year, according to a report from the Institute of Medicine (IOM). Every day Americans are visiting their doctors because of back pain. It is one of the most common complaints heard by physicians. But, does back pain mean surgery? The core mission of Beebe HealthyBack is to help people suffering with chronic neck and back pain return to the lives they love using a Pure Solution. The Pure Solution does not use needles, drugs or surgery. Exercise regularly. Your spine needs regular exercise to strengthen it and maintain flexibility. Without exercise, muscles become weak and deconditioned, which can lead to back pain and injury. Do not smoke. Smoking is one of the worst things you can do to your body. Smoking restricts blood flow, reduces calcium absorption, and prevents bone growth. Smoking can also slow healing. Maintain a healthy body weight. By carrying around extra weight, you are putting extra pressure on all your organs and your back. Work with your doctor to determine your ideal body weight and work to stay within 10 pounds of that weight. Core muscles support your entire body, so keep them strong. Start small – do 10 sit-ups a day, then work up to 20. Talk to your doctor about other exercises that can strengthen your core muscles. Yoga and Pilates are good work-out options for core strength. Lift with your knees. When you are moving something heavy, make sure to use proper body mechanics. If it is a really heavy load, find someone to help you. Check your posture. Are you sitting properly? Are you leaning over a keyboard? Are your ankles crossed? Improve your posture and you can reduce your back pain. Sit with your back straight, both feet flat on the floor. And, keep the screen at eye level if possible. Decrease stress. There is a connection between stress and back pain. When you are stressed, your body is tense. That tension, over time, can cause back and neck pain. One thing to try may be disconnecting from work once you leave by turning off your cell phone. Your back will thank you. Remember to take your vitamins and supplements. Take calcium, vitamin D, and do weight-bearing exercises to keep your bones strong. The spine has 33 of the body’s 206 bones. Bone strength and health is key to keeping your spine healthy. Weight-bearing exercises including walking, yoga, and lifting weights, can help increase bone density. Practice moderation. Weekend warriors tend to be sedentary during the week, then get into intense activities on the weekends, which can lead to injuries and spine pain. Instead of going all out on the weekends, try to keep a steady level of activity. For more information about Beebe HealthyBack, please call (302) 217-3000 or go to www.beebehealthcare.org. 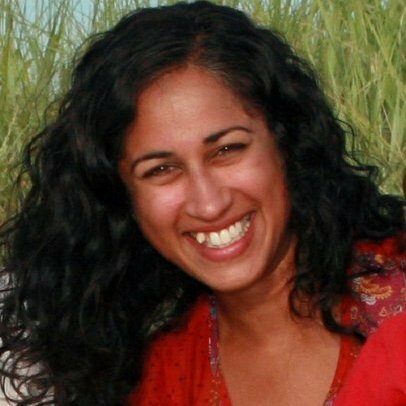 Rita Karapurkar Williams, MA, CHES, is a Health Coach at Beebe HealthyBack. She has a Master’s degree in Health Education from Teachers College, Columbia University and is a Certified Health Education Specialist. She is currently in the process of becoming a certified Integrative Health Coach through the Arizona Center for Integrative Medicine.